What I can I say... we continue to be perfectionists! Some of you were envisioning us copying and pasting CMSF1 stuff into the current Game Engine 4. Over and done with within a few months, right? I think we had a similar concept at first, though a few months was never a realistic timeframe in our minds. Since digging into CMSF1 in detail we found there was a need to redo pretty much everything. Quite a bit from scratch. We even violated our original concept of "nothing new for CMSF2 because we don't want this project to drag out". 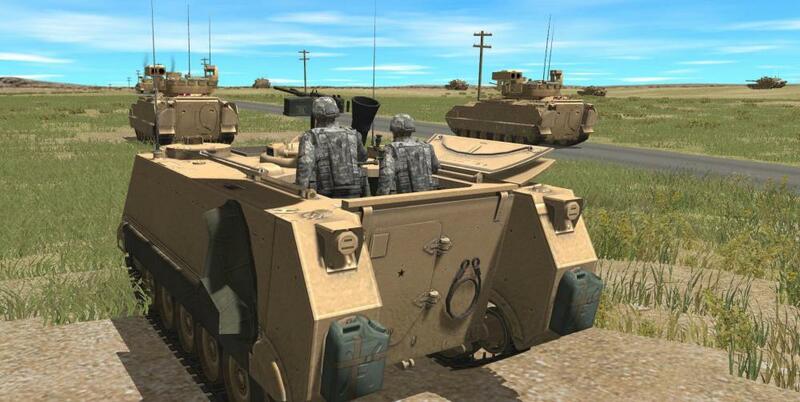 Yes, that means CMSF2 has on map dismounted and mounted mortars, for example. All new Soldier models certainly took up a huge chunk of time. Correcting our original research and predictions for near future TO&E also was no small task. 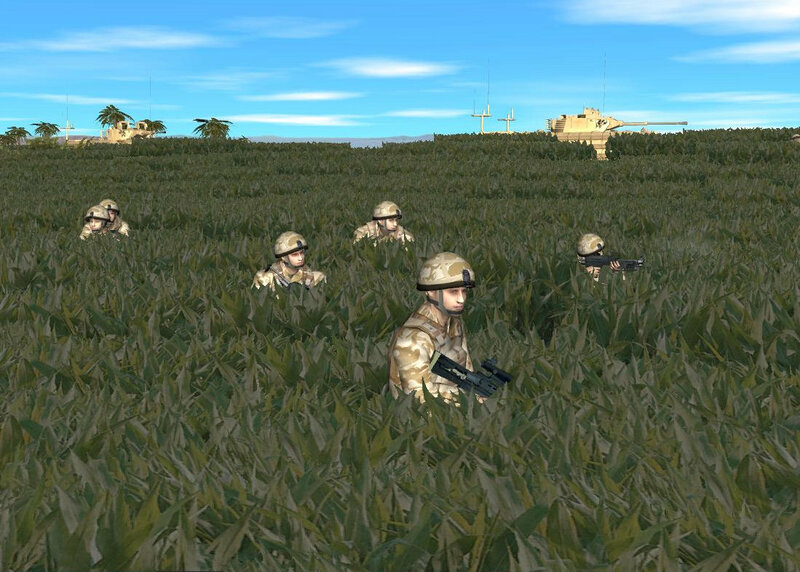 And scenarios... well, let's just say a lot has changed over the years and that is obvious if you play a stock CMSF1 (Game Engine 0) in CMSF2 (Game Engine 4)! The good news is that original CMSF1 content can be loaded in the Editor without doing anything special. We expect a lot of old CMSF1 hands will have fun upgrading their scenarios to CMSF2 standards. The upshot of this all is that CMSF2 feels like a brand new game instead of something slightly warmed over from 2008. We think you'll agree it was the right way to go, even if it meant a lot more time spent in the oven. Yup, for $35 you can Upgrade the CMSF2 Base Game Engine 4, Marines, British Forces, and NATO in one go. Upgrades can not be preordered, so for those of you looking to Upgrade you should skip the preorder and wait until things start shipping. And when do we expect to ship? No later than the end of July 2018. I've asked the Testing Lads™ to create some fun screenshots for me to post. Here they are! Sounds great Steve, my $35 bucks is at the ready. FINALLY an end to my torment! And at a great price too! Thanks, man. I am gonna have to fight with myself to keep from wishing the summer away. Mord, you lucky devil! Well, I'm happy for you, comrade. Feels good to be able to say that again! Thanks, and your time will come. By then I'll be just as hard up for the RT module as you. SF is what really started me modding and has a special place in my heart. But truly, I want modules, packs and upgrades for all the games, ALL the time! Looking forward to playing through the old missions again. There's still one certain scenario from the British campaign... a certain riot/militia attack on a police station that still gives me CM nightmares. God knows how lethal that will be in Engine 4. 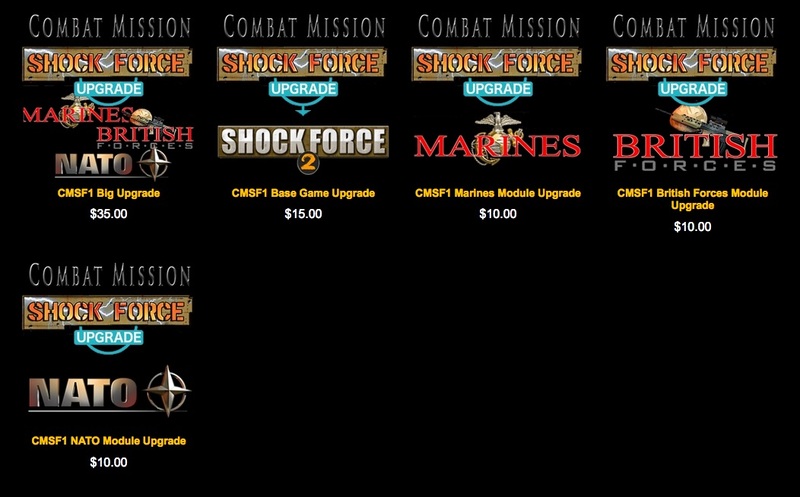 How will the upgrade work if I have the original Shock Force as a Paradox retail release on CD and expansion packs bought through your online store? Can't wait to dive in at the deep end and get it all since I don't have CMSF. With all the good things I hear about it, the dedication of the community, and the upgrades means I'm in for a treat. Steve, what will the cost be to buy it all from scratch? Such great news! $35 armed and loaded. I own all the original CMSF content as DVD-ROMs from Battlefront. Will the upgrade be like a patch to those installations, or will it (as I'm guessing) be a Big Bundle download in the style of the recent Engine 4.0 CM releases? For the most part Upgrading CMSF1 to CMSF2 works pretty much like Engine Upgrades. You'll get access to product specific Update installers and one massive kitchen sink Full installer. You do not need to have a working installation of CMSF1 for the big installer because it's got 100% of the files you need. From the licensing standpoint all the CMSF1 license keys put out by Battlefront will work with CMSF2. Launch the game, enter a license key, exit the game, and repeat until all old and new keys are entered. If you purchase the Big Upgrade you get one key. As you can see from the pricing, we're encouraging people to go for the Big Upgrade. The only people that should go for the individual Upgrades are those with the Base Game only or Base + 1 Module. What about the original retail release published by Paradox, waaay back in the day? I have that and I also have all the modules bought from the Battlefront store itself. I've read that you guys changed quite a bit, and I'm playing the UK campaign in CMSF1. Is the new upgrade saved game compatible? I am grabbing the Big Bundle on day 1, regardless. Can't wait to see those beautiful multi-coloured tracers flying around and seeing where the bloody hell my tank was hit. Guys shooting around corners would certainly help in urban battles. Oh! Yes, I forgot to say something specifically about Paradox. We've long offered a $1 way to change the Paradox version to a Battlefront version. That option will remain available. Once you have a Battlefront license key you're good to go. Save games won't be compatible. While the game data format has a built-in translator to get the old scenario formats to work, there's no reliable way to do that for save games. I noticed CMSF1 is gone from the store. I have only the base game. Will the game and the modules come back at some point, or will you be able to buy CMSF2 directly (not as an upgrade) also? Pricing is identical to all other Game Engine 4 games. There are some Bundle options as well to give people a break. The great thing about the Upgrades is once someone Upgrades it's no different than buying the game fresh. There's absolutely NO reason for original CMSF1 owners to purchase the new CMSF2 full priced products UNLESS you don't already have a particular component. Some of our testers argued we're practically giving the game away to the old hands, which is great because that's exactly what we wanted to do The support shown for Shock Force over the years is in no small way the reason we're still around making games. Taking the time to redo Shock Force and offering a steep discount seemed like an appropriate "thank you" from us to you all. Steve thanks for the update! Just so I know if I am good to go. I originally had the Paradox hardcopy of SF and then I bought the 3 pack bundle of the modules for it here as a download. Last year I upgraded my base game to a download version here so effectively I have two keys. One for the base game and one for the 3 pack bundle of the modules. If I buy the upgrade for SF2 I should be ok with just having the two keys for the whole thing? Will the big installer sort that out? Well, this one still contains the dutch campaign, so I'll buy it allright. Some of our testers argued we're practically giving the game away to the old hands, which is great because that's exactly what we wanted to do The support shown for Shock Force over the years is in no small way the reason we're still around making games. Taking the time to redo Shock Force and offering a steep discount seemed like an appropriate "thank you" from us to you all. Yeah Steve is crazy, crazy I say . I personally will be purchasing one of those bundles just to throw some $ of support their way. Wow, I was expecting to pay a lot more. New features too! I won't ask what else they may be besides the on map mortars just yet. The one thing I hope though is new buyers won't buy it expecting the present Syrian Civil War, ISIS etc. and then complain afterwards. do not need to have a working installation of CMSF1 for the big installer because it's got 100% of the files you need. Wonderful news about the release... and one installer is great. Thank you Steve, Charles and everyone else who contributed. Taking the time to redo Shock Force and offering a steep discount seemed like an appropriate "thank you" from us to you all. I remember when you guys announced you'd being doing a modern setting first instead of a WWII title with the new engine. A lot of people went ballistic and I admit I was disappointed. But I decided to keep an open mind and trust that you guys would deliver. By the time the NATO module was released I was enraptured by all the exotic vehicles, equipment and forces. I never expected to like the game, (NAY! Love the game) as much as I did. But at that point I was also weary and really pining away for some WWII. I figured SF had run it's course and would be remembered fondly like the old CM1 games. But man, ever since you let it slip, (what at least two years ago if not more?) that you guys were gonna give the old girl a face lift, I have been pumped. After getting back to the 40s and Europe/Ostfront I never expected to miss SF like I did. It really is a wargaming dream come true to have an old favorite dragged from the ashes of the .75 Engine and resurrected with nearly 10 years of upgrades. So, on behalf of all the guys that blazed the modding trails of a new engine, sacrificed untold hours creating scenarios, and the players that tested mods/scenarios/and game functions or just plain played; We appreciate that you appreciate us. And from the bottom of my jaded heart, thank you for thanking us with such an awesome gift! (For all those I destroyed with this heart wrenching beauty of a post, I'll have a Kleenex™ Mod up at GAJ's ASAP).